Northern California. Wendell Wood (ww@oregonwild.org). © Wendell Wood (ww@oregonwild.org). 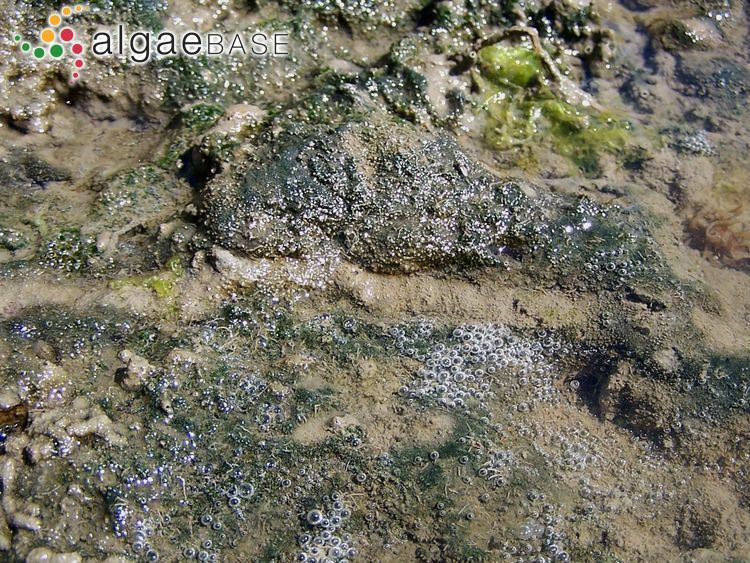 Kleinwaabs, Eckernförder Bight, Germany, Baltic Sea; 2 m depth. 03 Oct 2005. Dirk Schories. © Dirk Schories (dirk.schories@gmx.de). This is the type species (holotype) of the genus Chordaria. Type locality: "Oc. Norvegico" (Silva, Basson & Moe 1996: 898). English: Slimy Whip Weed (Bunker et al. 2010). 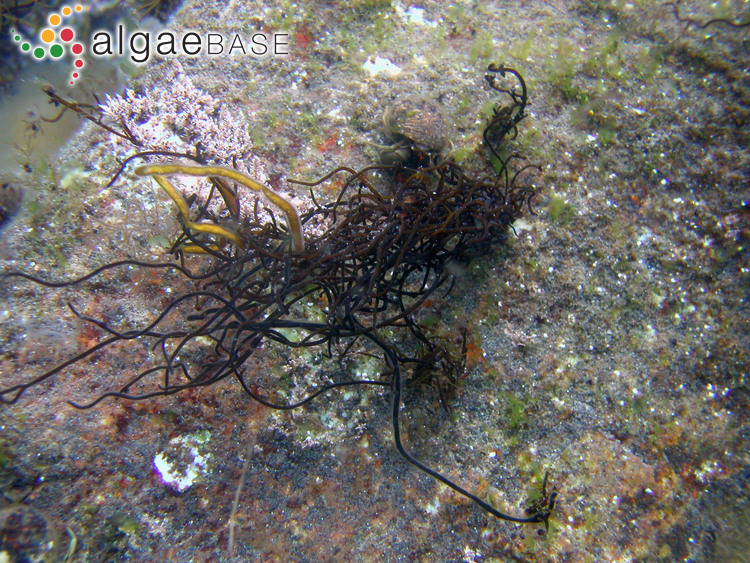 Thallus string-like, with divaricated branches, slippery, solid, dark-brown to black, 10-30 cm high. Branching irregular, alternate from all sides. Branches cylindrical, or slightly compressed, to 3 mm wide, slightly tapering towards the base. Branch apices blunt. Medulla composed of longitudinal filaments of long cylindrical cells to 50-600 µm decreasing towards periphery to 16-18 µm. A layer of assimilative unbranched filaments (of 4-9 cell rows) develop from the peripherical cells. Unilocular sporangia oval, 20-23 x 60-108 µm, develop at the base of the assimilative filaments. Growing on stony bottom, in low intertidal to subtidal, in calm shores and exposed to wave action. Accesses: This record has been accessed by users 7576 times since it was created. Caram, B. (1955). Sur l'alternance de générations chez Chordaria flagelliformis. Botanisk Tidsskrift 52: 18-36. Kim, S.-H. & Kawai, H. (2002). Taxonomic revision of Chordaria flagelliformis (Chordariales, Phaeophyceae) including novel use of the intragenic spacer region of rDNA for phylogenetic analysis. Phycologia 41: 328-339. Kornmann, P. (1962). Die Entwicklung von Chordaria flagelliformis. Helgoländer Wissenschaftliche Meeresuntersuchungen 8: 276-279. Munda, I.M. (1979). 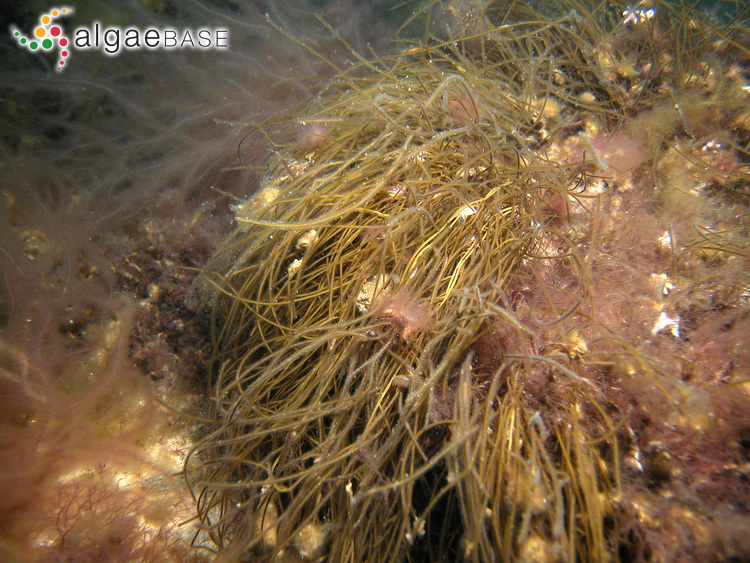 A note on the ecology and growth forms of Chordaria flagelliformis (O. F. Müll.) C. Ag. of Icelandic waters. Nova Hedw. 31: 567-591. Petersen, J.B., Caram, B. & Hansen, J.B. (1958). Observations sur le zoïdes du Chordaria flagelliformis au microscope électronique. Botanisk Tidsskrift 54: 57-60. Probyn, T. A. (1981). Aspects of the light and nitrogenous nutrient requirement for growth of Chordaria flagelliformis (O. F. Mull) C. AG.. Proceedings of the International Seaweed Symposium 10: 339-344. Probyn, T.A. & Chapman, A.R.O. (1982). 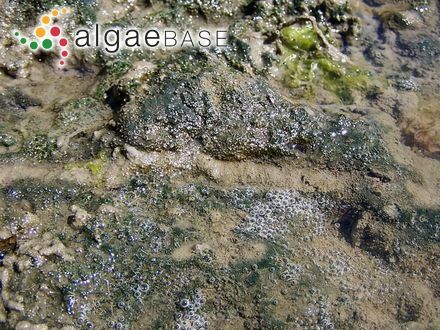 Nitrogen uptake characteristics of Chordaria flagelliformis (Phaeophyta) in batch mode and continuous mode experiments. Marine Biology, Berlin 71: 129-133. Probyn, T.A. & Chapman, A.R.O. (1983). Summer growth of Chordaria flagelliformis (O. F. Muell.) C. Ag. : physiological strategies in a nutrient stressed environment. Journal of Experimental Marine Biology and Ecology 73: 243-271. Probyn, T.A. (1984). 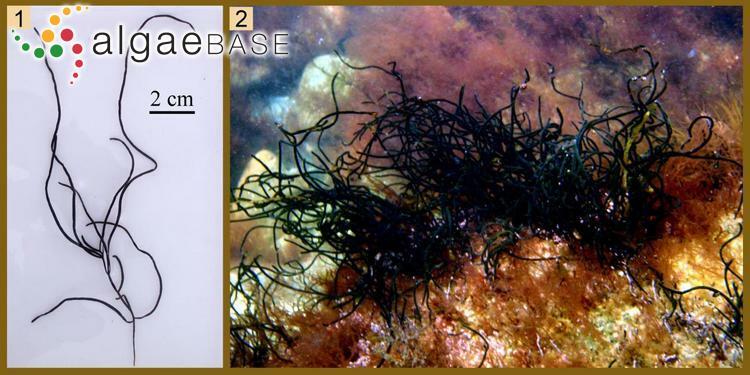 Nitrate uptake by Chordaria flagelliformis (Phaeophyta). Botanica Marina 27: 271-275. Rice, E.L. & Chapman, A.R.O. (1982). Net productivity of two cohorts of Chordaria flagelliformis (Phaeophyta) in Nova Scotia, Canada. Marine Biology, Berlin 71: 107-111.